A new policy that requires Opposition MHAs to take constituent queries to ministerial aides smacks of interference, two MHAs say. A new policy that requires Opposition MHAs to take their queries from constituents straight to the office of government ministers smacks of interference and a violation of privacy, two MHAs say. Members of the House of Assembly have always been able to help constituents directly, including tracking down information and helping them access social programs. 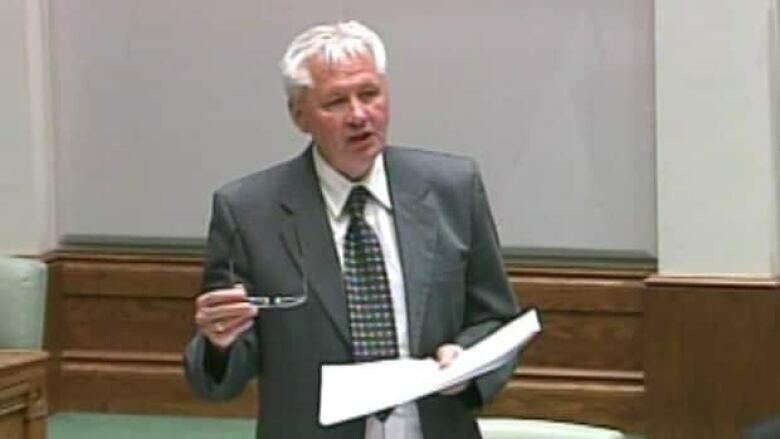 But in a new change at Confederation Building involving several key departments, all MHAs - including those on the Opposition benches - must first go through the executive assistant of that department's minister. "It's a violation of people's confidentiality," said New Democrat Gerry Rogers, who represents St. John's Centre. She believes the move puts a chill on people seeking help from their elected representatives. "It politicizes the work that we do in terms of when it's just working on behalf of individual constituents," she said. "The minister has no right, nor any need, to know about the particular issues of an individual constituent in our riding." Liberal Eddie Joyce, who represents Bay of Islands, said the new policy puts too much control in the hands of government ministers. "We have to deal with the people who are executive assisants to the minister now," he said. "This is someone in St. John's who's not elected. I don't even know if they have the proper authorization to even discuss this file." An official with the Department of Advanced Education and Skills confirmed for CBC News that the new policy is in effect. He said the change was made so that all requests could be handled by a single political contact within the department.